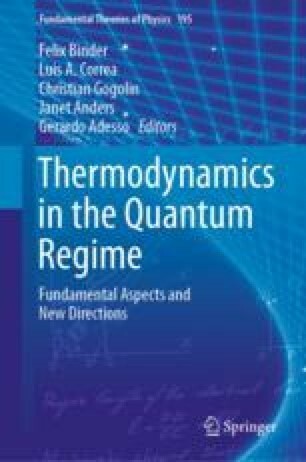 Thermodynamics can be formulated in either of two approaches, the phenomenological approach, which refers to the macroscopic properties of systems, and the statistical approach, which describes systems in terms of their microscopic constituents. We establish a connection between these two approaches by means of a new axiomatic framework that can take errors and imprecisions into account. This link extends to systems of arbitrary sizes including very small systems, for which the treatment of imprecisions is pertinent to any realistic situation. Based on this, we identify the quantities that characterise whether certain thermodynamic processes are possible with entropy measures from information theory. In the error-tolerant case, these entropies are so-called smooth min and max entropies. Our considerations further show that in an appropriate macroscopic limit there is a single entropy measure that characterises which state transformations are possible. In the case of many independent copies of a system (the so-called i.i.d. regime), the relevant quantity is the von Neumann entropy. Transformations among microcanonical states are characterised by the Boltzmann entropy. Philippe Faist is not listed as an author for editorial reasons. MW is supported by the EPSRC (grant number EP/P016588/1). RR acknowledges contributions from the Swiss National Science Foundation via the NCCR QSIT as well as project No. 200020 165843.